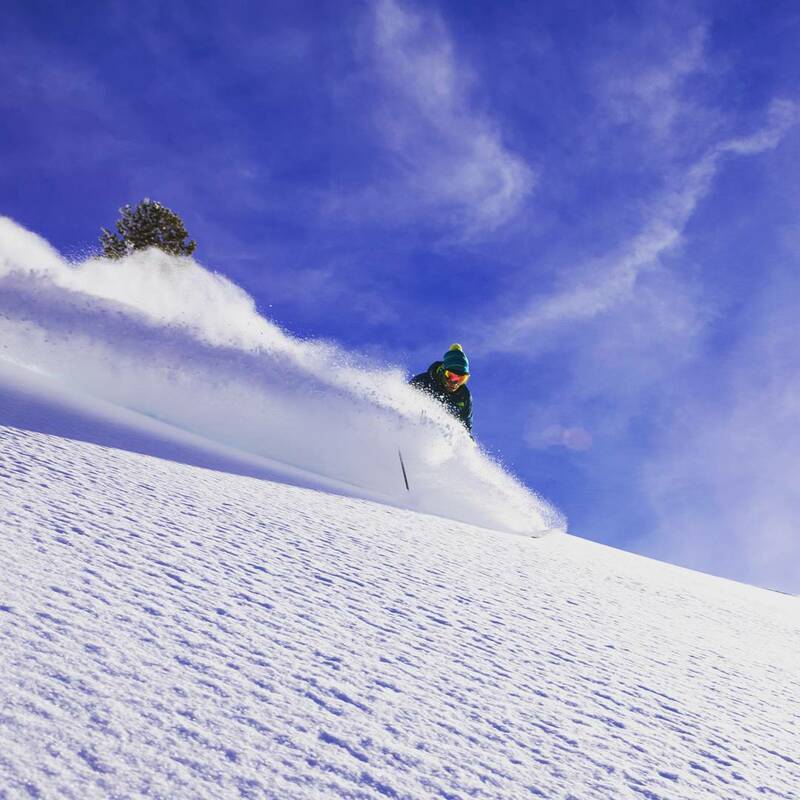 Grand Targhee is ranked No. 6 in North America for its total snowfall during an average season. It's officially DUMPING @grandtargheeresort ! #targheebound Check the webcams for a smile! The best thing about this place, as explained further below, is the snow. The weather patterns here behave basically like an Alta North. In fact, Grand Targhee Resort is located in Alta, Wyoming, a bizarre coincidence. 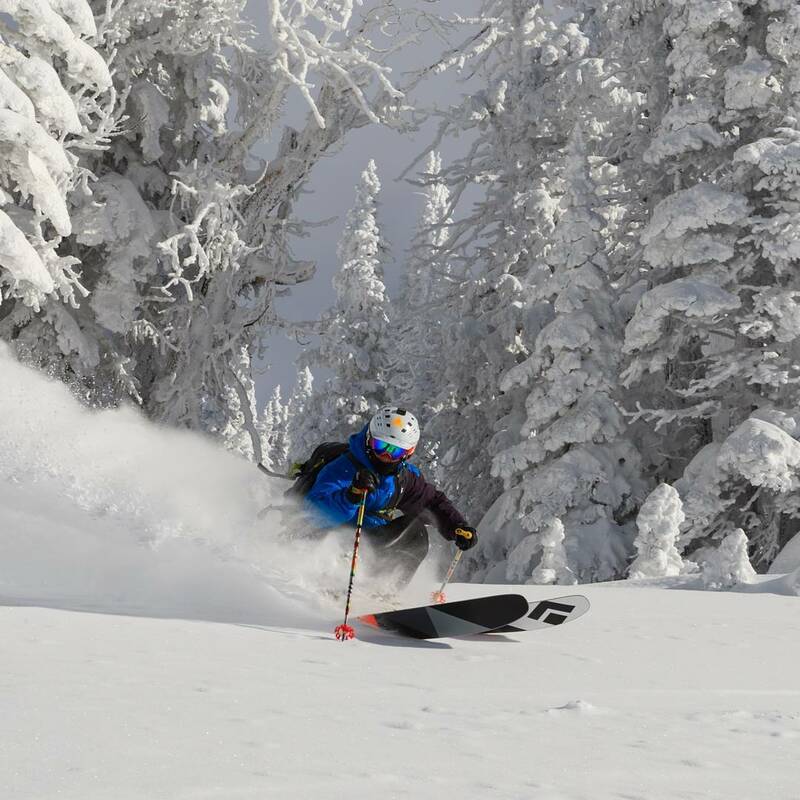 The next best thing about skiing at Targhee, especially during the week, is that it often feels as if you're skiing this place all on your own. Without gobs of destination skiers flocking in from afar, the weekdays, even the ones that feature fresh snow—and there are a lot of those here—are slow and easy. 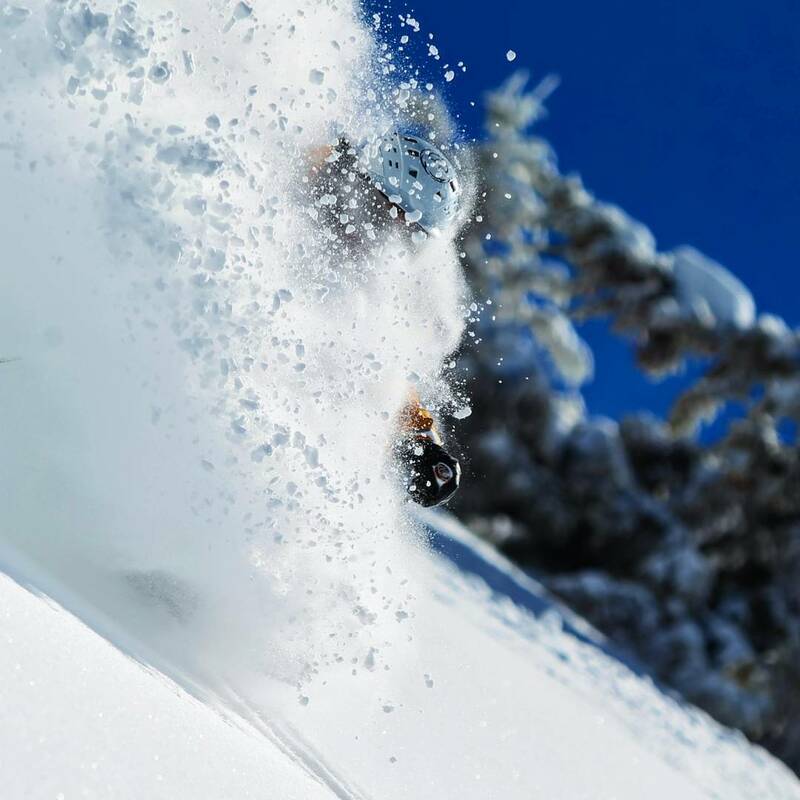 Activity kicks up on the weekends when 9-to-5'ers from Victor, Driggs and Idaho Falls shuffle up for their time on the slopes, but there is no place outside of Alaska that combines copious snowfall with lack of crowds like Targhee. The resort itself isn't nearly as steep as its cousin across the range. The terrain here evokes more of a Wolf Creek vibe than a Snowbird one. Skiers start at the Dreamcatcher lift and ski that chair or head to skier's left to Sacajawea or to skier's right to Blackfoot. Targhee has only these three lifts, although it does run a guided snowcat operation on most weekends, just beyond the boundaries reached via the Sacajawea chair. Skiing toward Sacajawea gets skiers a wealth of gladed shots that all funnel to a traverse that lead to to the lift's base. Once at the top of Sac, a little work gets skiers above a cliff band that holds the steepest terrain in-bounds at Targhee. Shots through Toilet Bowl, Pink Slip and Bobcat feature some kind of drop toward the top—you can make it a three-foot thing, or a 20-foot thing—and, from there, mild runs through trees that alternate between mellow and moderate steepness. It's not long, however, until you're back in the gully of the canyon and headed back toward the cat track to Sac. Some of the most enjoyable terrain on the mountain is just beneath the Sac lift. It's a mild slope, but the trees are spaced widely enough that, on a snow day, skiers can hit the gas and hurtle through big tree gaps like a TGR gangster. Similar terrain exists underneath and around the Blackfoot lift as well. To skiers' far right off of Blackfoot, there sits easy-skiing powder fields dotted with little Christmas-like trees here and there. Hero shots everywhere, for everybody. The only drawback to this mellow powder-holding terrain is that the vertical is short and getting back to the lift involves a skating-worthy cat track traverse. One footnote on Targhee that's worth mention: The resort can often get socked with thick, persistent bands of fog. The moisture gets trapped up against the Tetons' west ridge and, in the extreme cases, it can take a day or two to clear. 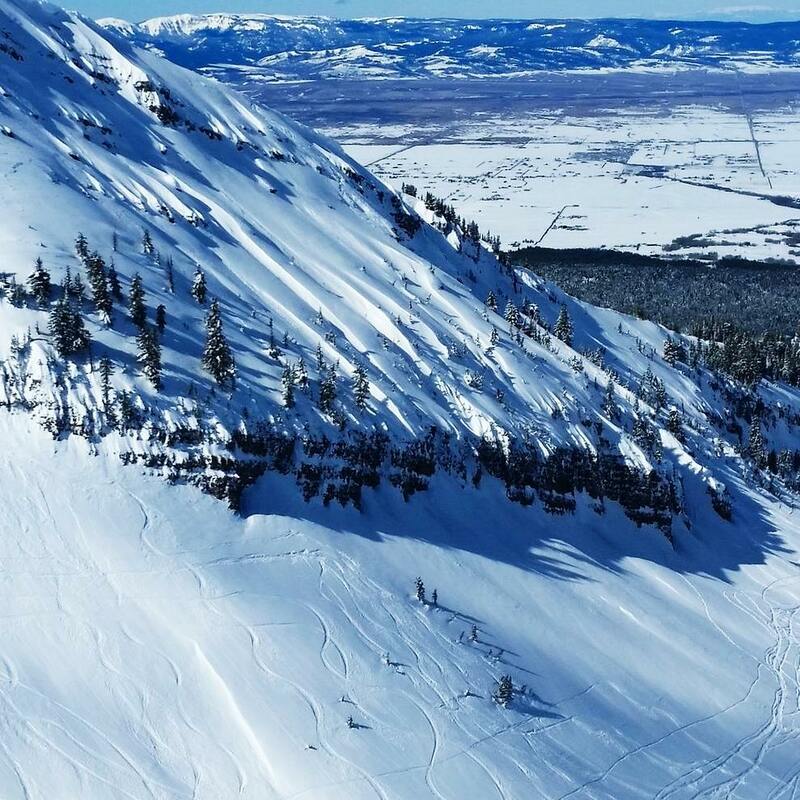 Skiers at Jackson can often see the same systems seeping over the top of Rendezvous Peak and descending down the mountain toward the Sublet and Thunder lifts. The difference is that the fog at Jackson easily dissipates to the East as there is nothing to hold it in for more than a few hours. 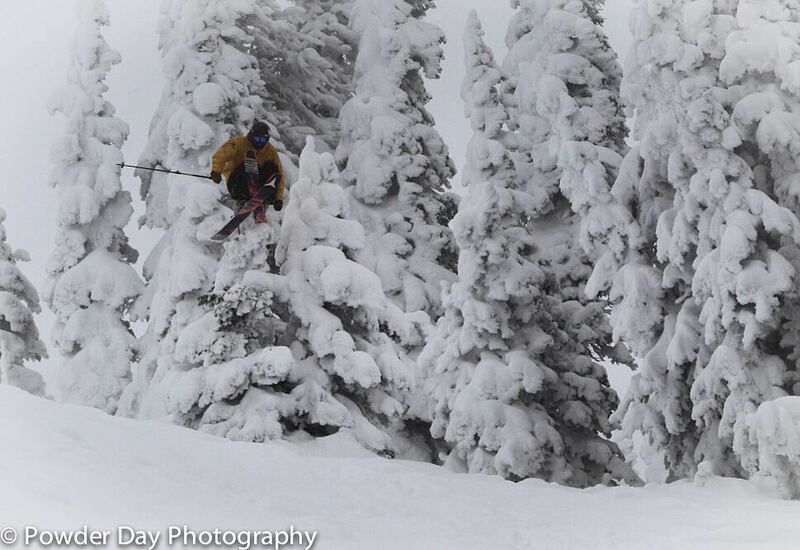 During days like this at Targhee, the trees are your friends. Stick near them for some contrast and definition as skiing in the wide-open sections of the resort will be difficult. Ski slower, of course, and be watching for that fog to clear as you'll likely have the place to yourself when it finally does. Grand Targhee sits in the mountains just a modest drive from the town of Driggs, Idaho (Targhee is in Wyoming, but all skiers, at least those traveling in cars, arrive via Idaho). 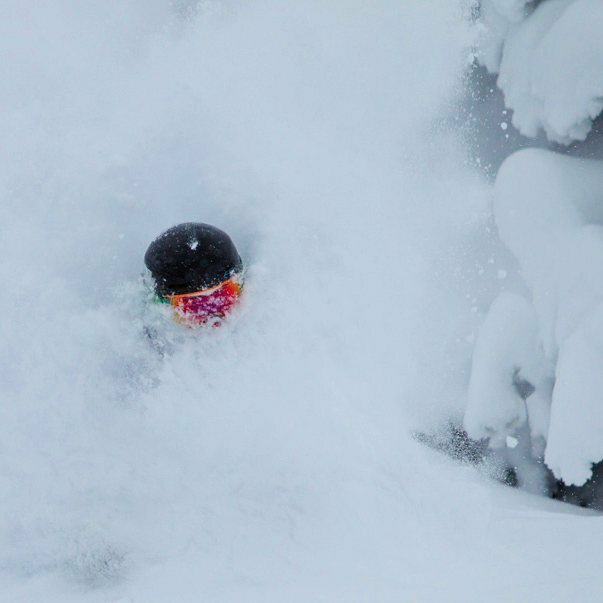 Driggs has been steadily attracting the young mountain set for a decade and a half, which is when real estate in the Jackson Hole area went completely berserk. Over the course of just a few years, what used to be a $200,000 starter home in Jackson became a $900,000 scrap-for-it-because-you-love-it-here house. Those who could buy, bought. Those who couldn't buy—or couldn't justify it—moved across Teton Pass to the Idaho towns of Victor and Driggs. Driggs has been pooling cool-person equity for all of those 15 years and the results are beginning to show inside town. The housing stock around Driggs and south toward Victor is unremarkable, made of the same stuff that comprises subdivisions of inland California or the Texas plains. But all of these houses full of all of these people have to eat somewhere, and that's where Driggs has vastly improved the options for those plying its streets for eats and, most importantly for this conversation, for Targhee skiers. One of our favorites is Forage & Bistro. Forage features the kind of new American fare that you might find in Brooklyn, Chicago or Austin. Fine, fun eating for all comers, with items like braised Lava Lake lamb shank, duck sausage pasta carbonara and the Forage veggie burger with cheese. Breakfast in Driggs goes down in grand fashion at Pendl's Bakery. The baked goods are Austrian style, which means apple strudel. Eat it and go ski. For solid Thai food, head to Teton Thai, which expanded to Driggs from its popular location in Jackson's Teton Village. 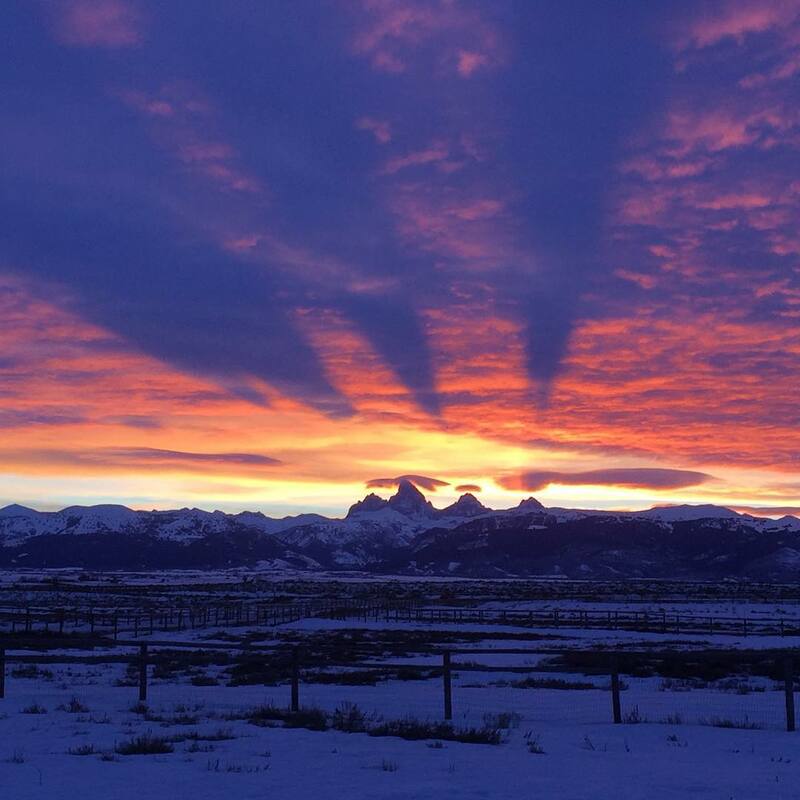 Lodging within Driggs is decent, but Targhee isn't a mass market destination resort, so you won't see the kinds of hotels and inventory that exists across the mountains in Jackson. Some of the best places to stay on the Targhee side are the newer homes that have been built near town and up Ski Hill Road toward the resort. Deals can be found on Craigslist and within VRBO's Driggs inventory. On the mountain, there are some great options built into the small base village, including The Tower Suite, a single residence overlooking the village, and Teewinot Lodge, a charming log lodge of guest rooms surrounding a main living area that's grandly trimmed in timber of the region. 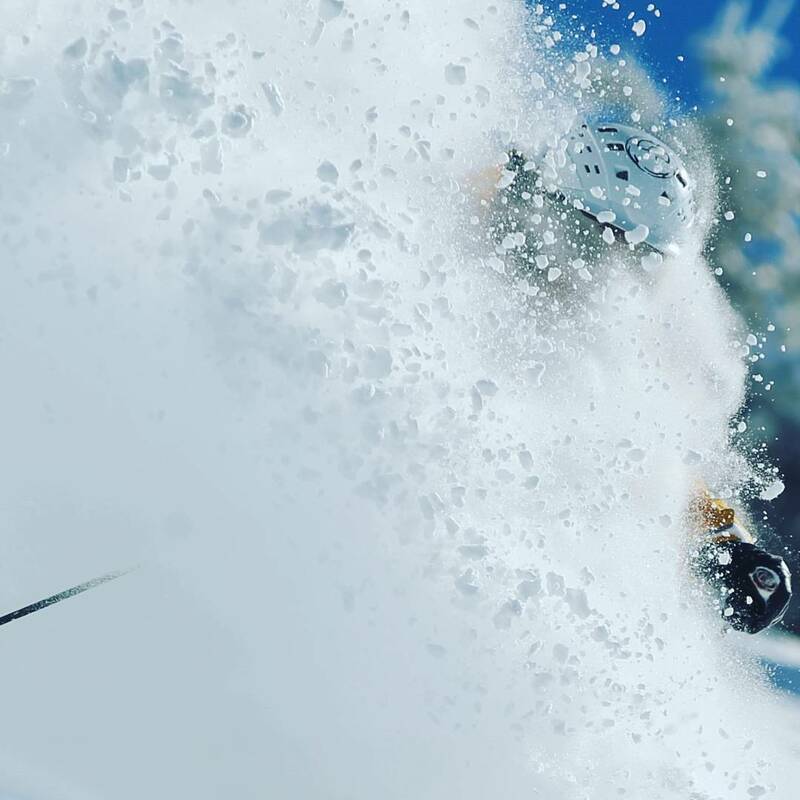 At Grand Targhee 20.3% of winter days see 6 inches or more of snow, 42% of winter months see 90 inches or more, and a measly 3% of months see less than 30 inches. This is elite, blue-chip style snow frequency, rivalled only by Alta and Snowbird in the Rocky Mountain states. 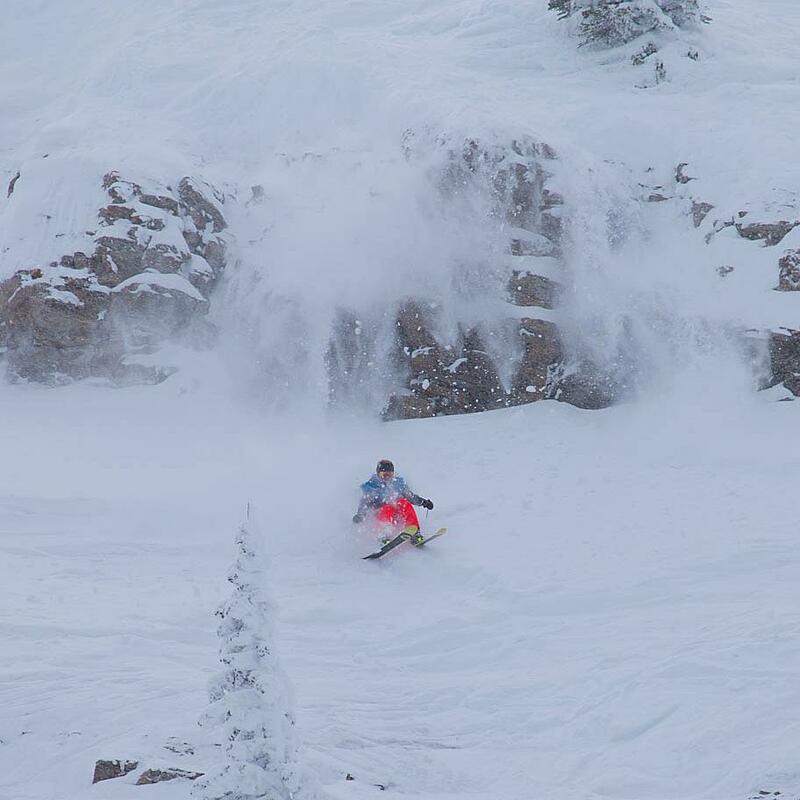 Targhee’s snow quality is also comparable to Alta/Snowbird’s. 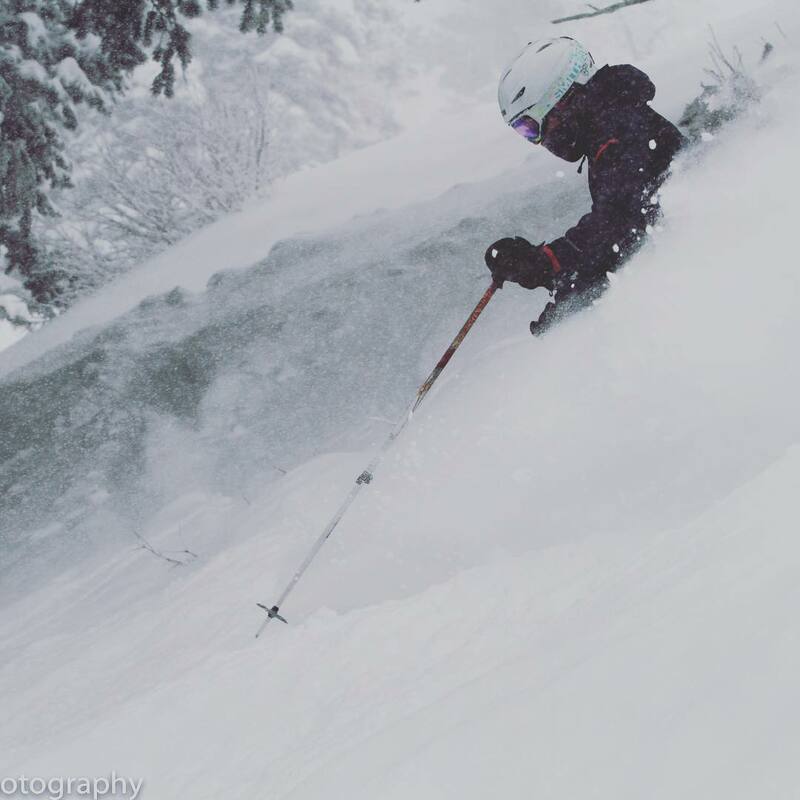 Targhee has unusually consistent snowfall, never receiving less than 58 inches of snow in January or 41 inches in February since 1976. 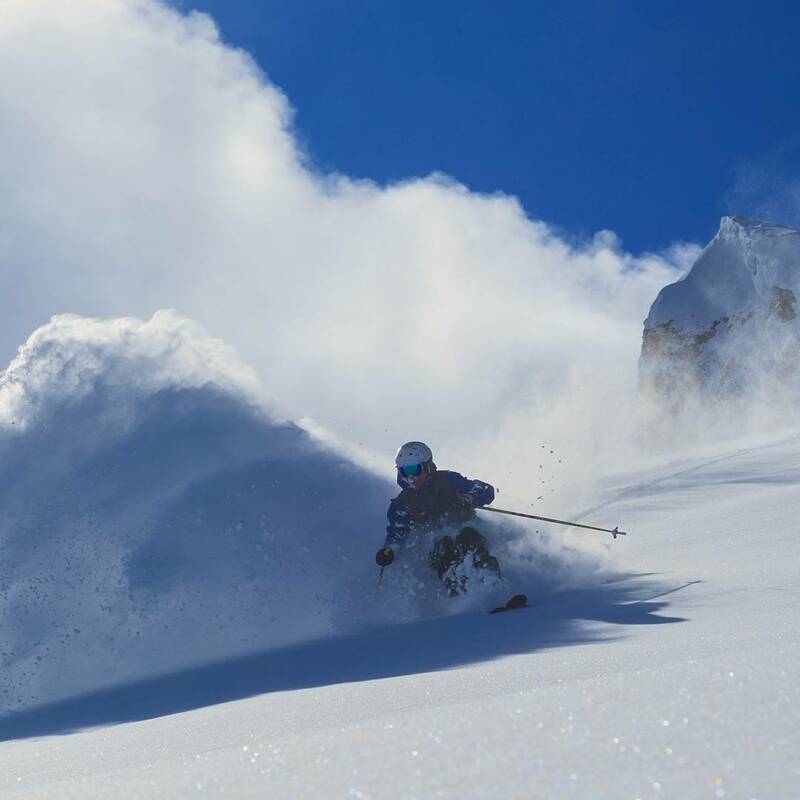 With its consistent high snowfall and moderately pitched terrain, Grand Targhee is the only area in North America with a perfect record of full operation at every Christmas since records have been kept. While altitude is high, the predominant exposure is west. Thus snow is more likely to melt/freeze on warm sunny days than at Alta/Snowbird, and this is the reason Targhee ranks #3 to those areas in overall snow reliability. 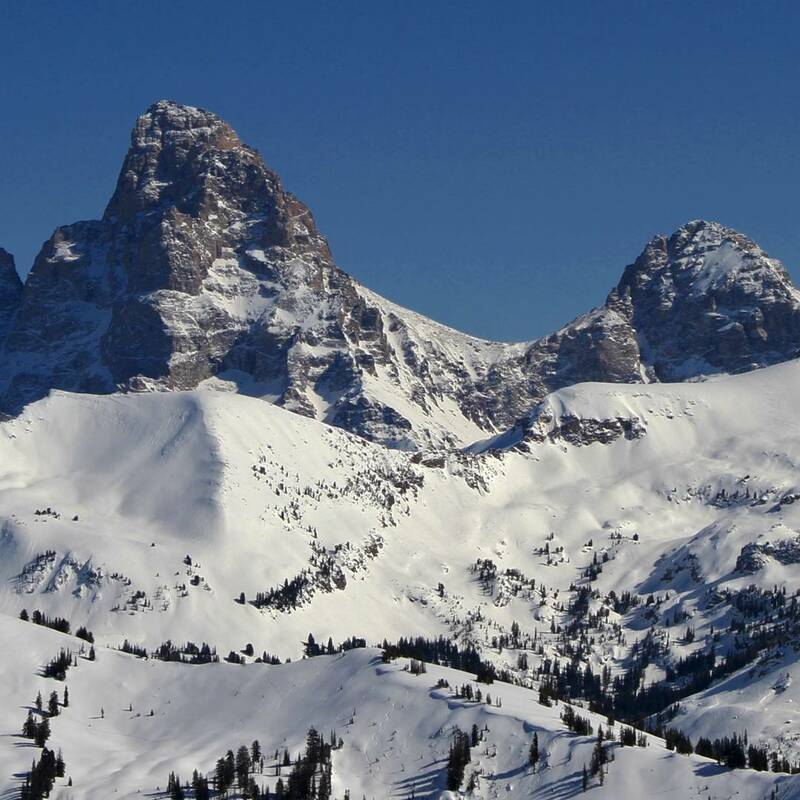 Melt/freezes are rare in Targhee’s chronically cloudy winter climate, but can be more of an issue in spring.